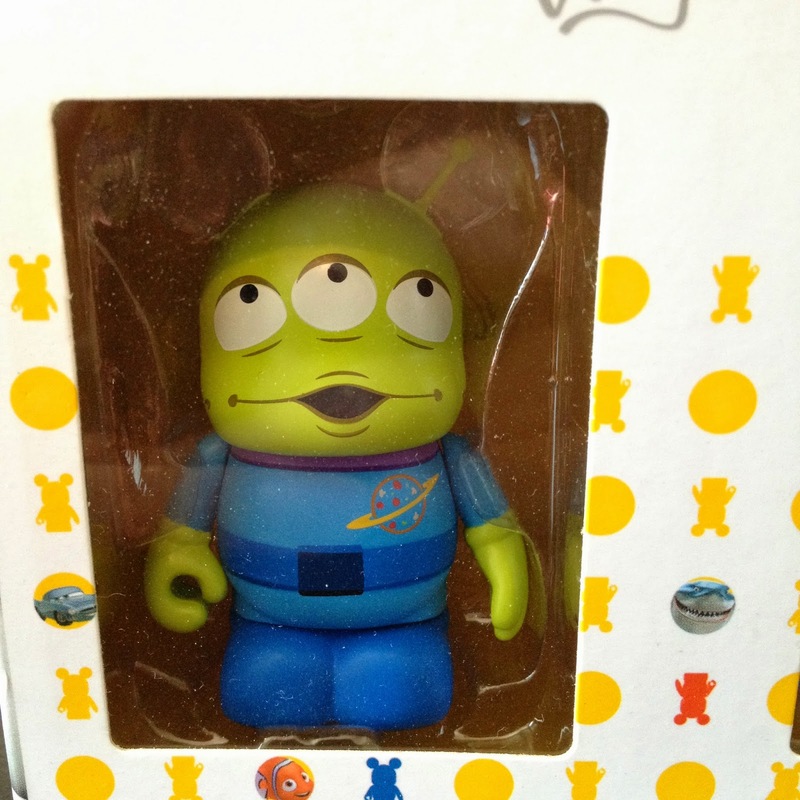 From the 2012 Pixar Series one Vinylmation collection, here we have the Toy Story Pizza Planet Alien (also known as "Little Green Men" or "LGMs") 3-Pack! 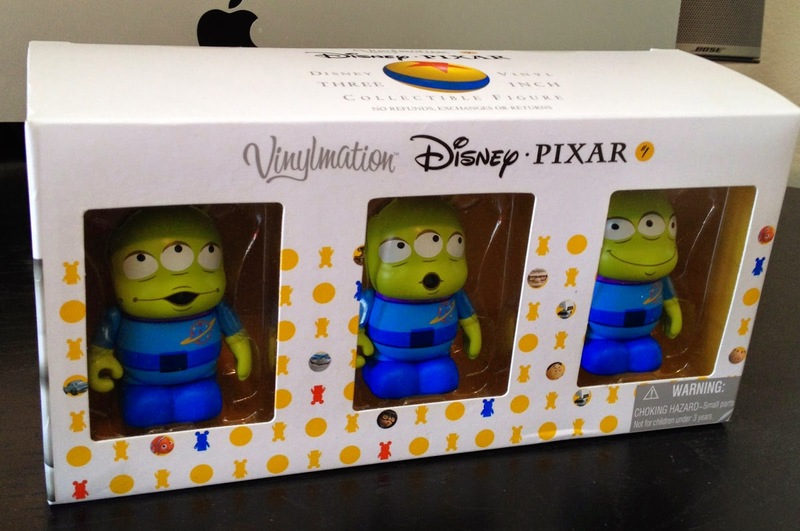 With the addition of this set, my Pixar Series one collection is now complete. 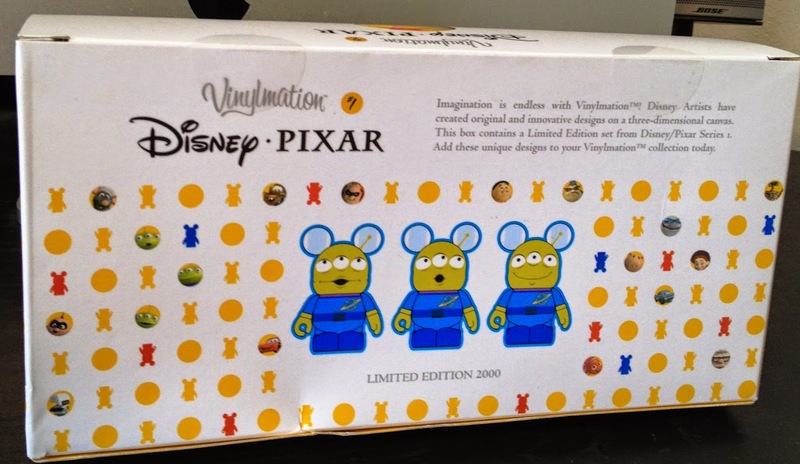 This 3-pack is a limited edition of 2000 pieces made. 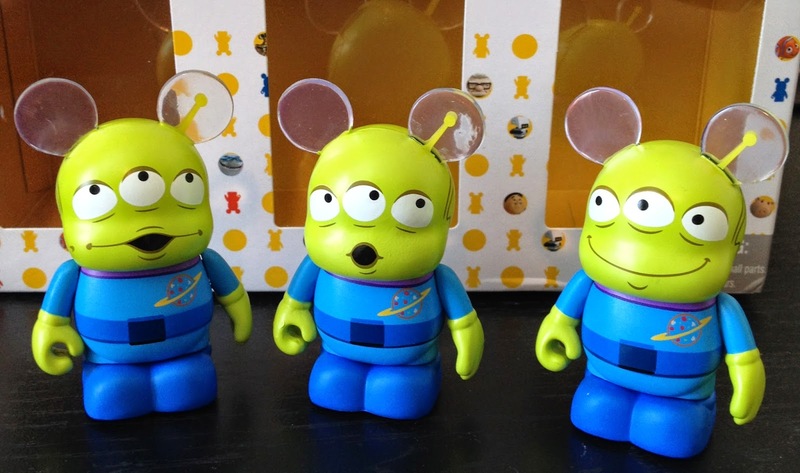 I really love how each alien has its own facial expression and that they're not all exactly the same. 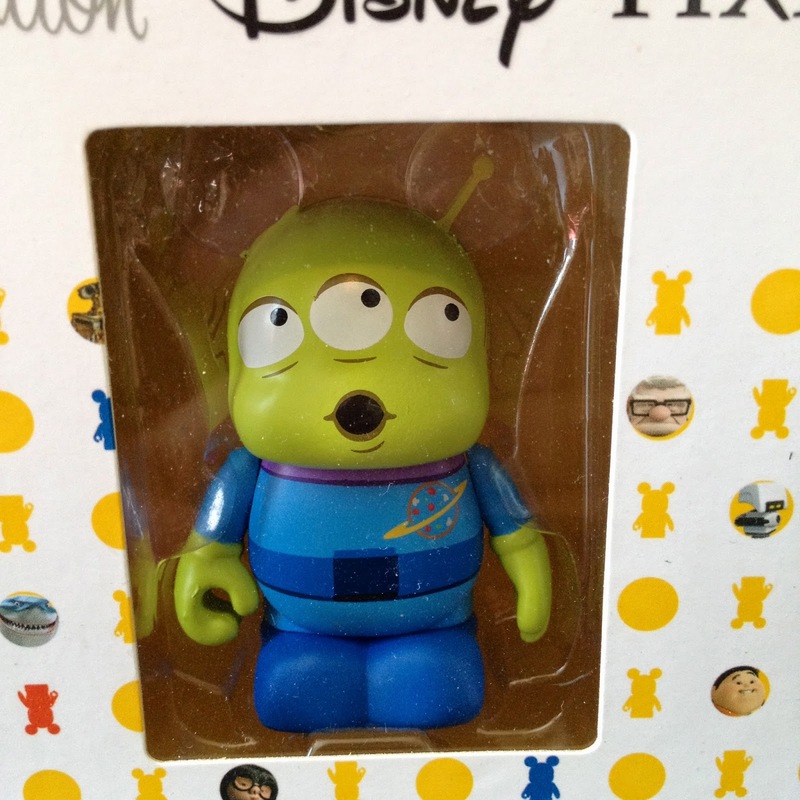 You can also tell they're saying "Ooooohhhhh" in their classic way. It's a really nice touch by artist Thomas Scott. 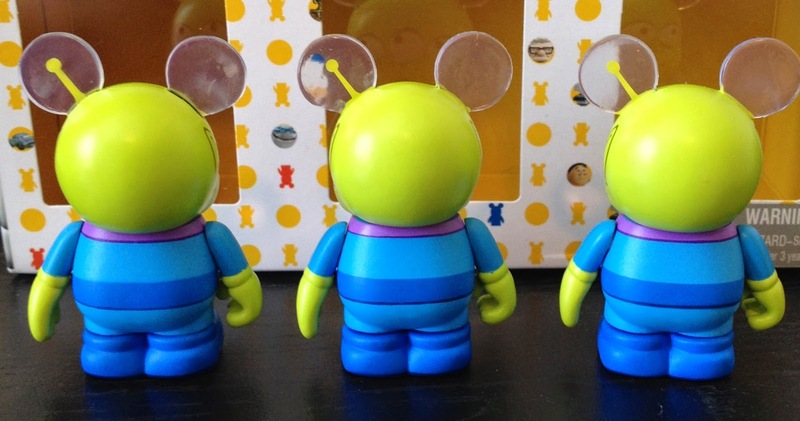 As a side note, these weren't the first Toy Story Alien Vinylmations to be released. 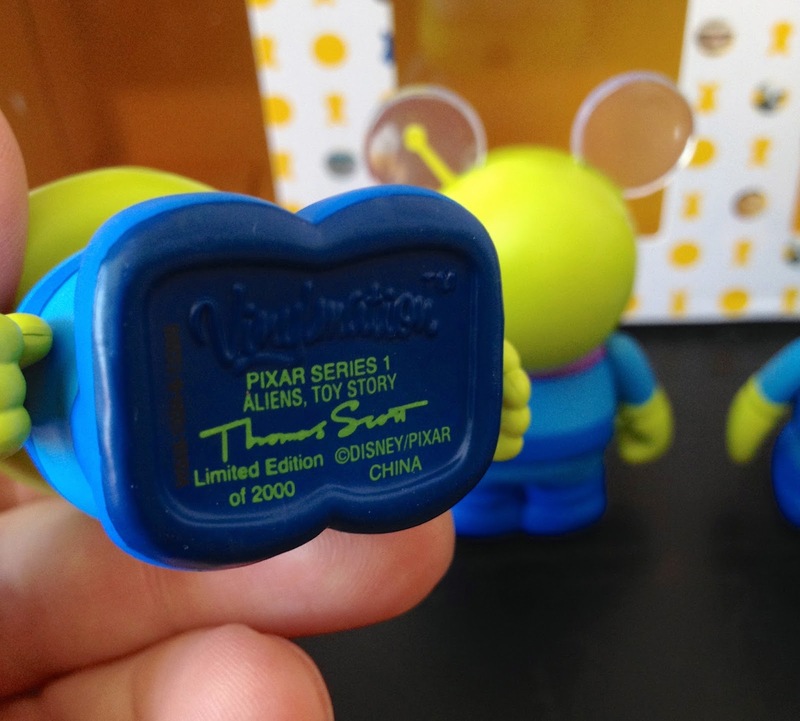 I don't have any of these other ones, but there was one included in the Park Series two (seen here), a 9 inch one included in the Toy Story series one (seen here) and, a "Crayon Drawing" one (seen here) and a robot style one from the Robot Series (seen here). A big thanks to my parents for snagging this for me on eBay for a birthday present! 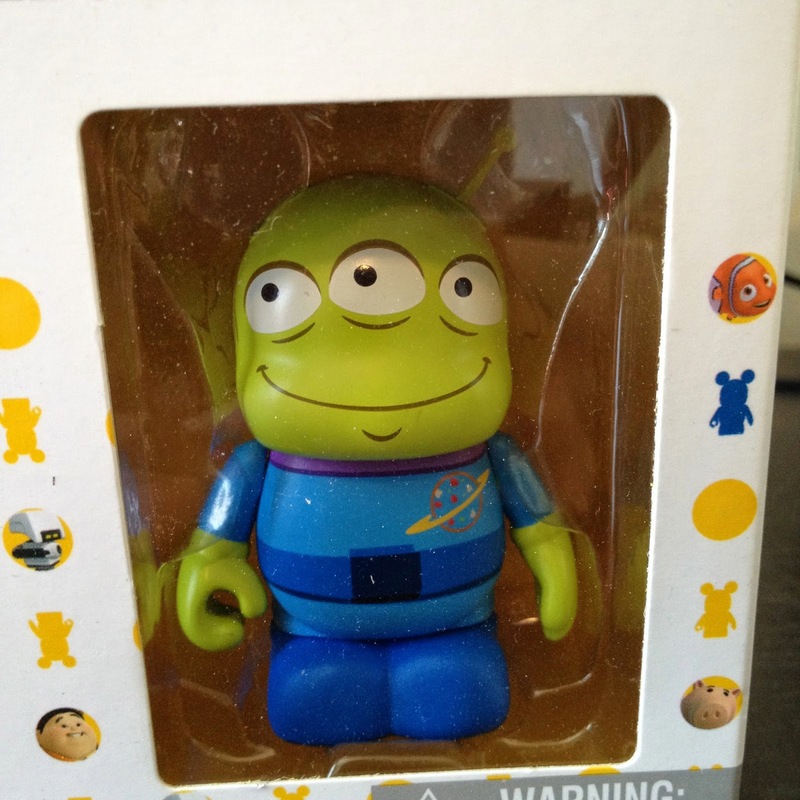 You can check out the rest of the Pixar series one here. Also included in this series is a A Bug's Life Tuck and Roll 2-pack and the young Carl and Ellie 2-pack from Up .